Celebrating the greatest beverage in history….beer. It is only the beginning of November, but we are already thinking about the holidays. The time of giving (and drinking) is almost here. Have a female beer enthusiast in your life? While she might like a good craft beer, she’d probably love more than a bomber in her stocking. Breweries, as facilities dedicated to beer production, emerged when monasteries and other Christian institutions began producing beer to be used as currency. Early breweries were designed with equipment on higher floors in order to utilize the aid of gravity to in transferring the product between brewing stages. Though this building layout is still somewhat common, mechanical pumps are now the norm. Early breweries also used large copper vats and lined wooden containers were used during the fermentation process. 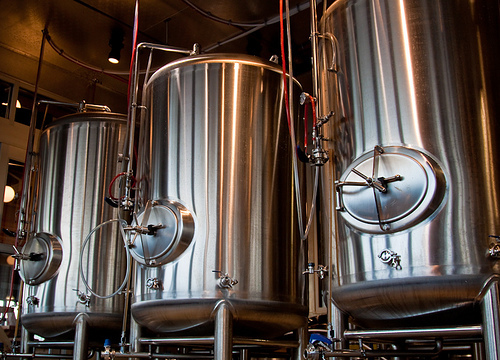 Since the Industrial Revolution, stainless steel has been typically used for brewery equipment since it is less expensive and doesn’t corrode. Alaskan Brewing is credited with installing the first carbon dioxide reclamation system in a United States brewery. Carbon dioxide (CO2) is a natural byproduct of the brewing process. Since 1998, Alaskan has been capturing the gas and using it in beer packaging. This development is said to decrease the environmental impact and financial cost of their beer production. In modern society, beer is considered a social drink and evidence suggests that beer has always been consumed in a spirit of community. Sumerian depictions of people consuming beer show one vessel with each person drinking the beer from an individual straw. We know that straws were initially used in drinking beer to filter through debris from the production process, but these Sumerian images tell the story that beer was shared in this way even after filtering and pottery production were introduced. The idea of sharing one vessel of beer is thought to have been ritualistic and a universal symbol of hospitality and friendship. The sharing of beer in this way may also have been a communication of trust. Though today, we don’t offer guests a straw through which to drink a glass of beer with us, but we do toast each others glass before taking a sip. This act of toasting is probably a modern representation of the ancient concept of community fostered by beer. To read more about the role of beverages on society, check out A History of the World in 6 Glasses. Though historians aren’t certain when beer was first made, there is a general consensus that spontaneous fermentation started it all. Mesopotamian clay tablets dating back 5000 years indicate that a beer called sikaru was made and that it was nearly identical to modern-day Belgian lambic – making lambic the oldest existing beer style, and also the only purely spontaneously-fermented beer style in the world. 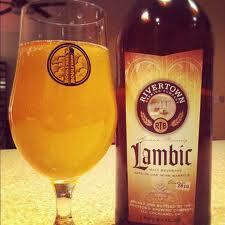 Some also believe the name may be derived from the French word for “still,” alambic. Duke Jean IV of the Belgian province of Brabant is often credited with the idea of boiling barley and hops in a still – and both the name of the beer and the town in which it was made became known as Alambic. You can’t argue that driving a vehicle after drinking is a good thing to do. This takes on a whole new meaning though with the rise of craft brewing. Blood alcohol level or content (BAC) is defined as the percentage of alcohol in a person’s blood. A BAC of 0.10 means that 0.10% (one tenth of one percent) of a person’s blood is made up of alcohol. In the United States, the legal limit is .08. 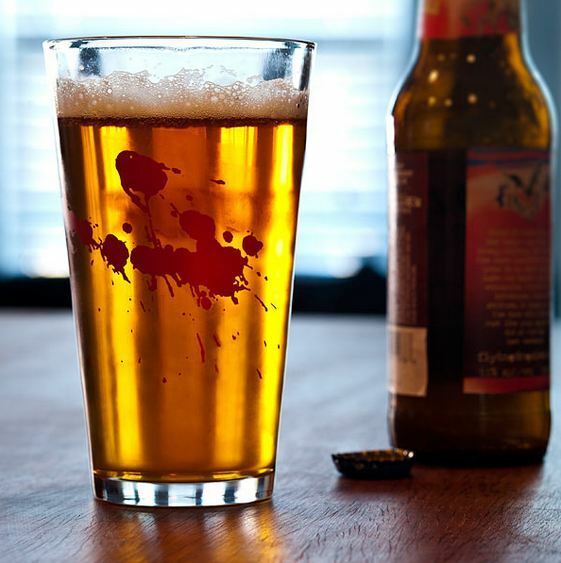 According to the Center for Disease Control (CDC ), a standard beer is 12 oz. and contains .6 oz. of alcohol assuming the beer is 5% alcohol. I weigh 120 lbs, which means I can drink 2 beers in an hour before reaching the US legal limit. However, as a craft beer lover, I typically drink beers around 7.5% alcohol and I am often drinking pints (16 oz.) instead of bottles (12 oz.). So the math is totally different. I can only have 1 beer before reaching the US legal limit. The National Transportation Safety Bureau is heading an effort to get the BAC limit lowered to .05 from .08. If that happens, we’ll probably start seeing a lot more session beers produced by craft breweries. Cozy up to the bar and order a pint. Depending on which country you are in will determine the size of the glass you receive. 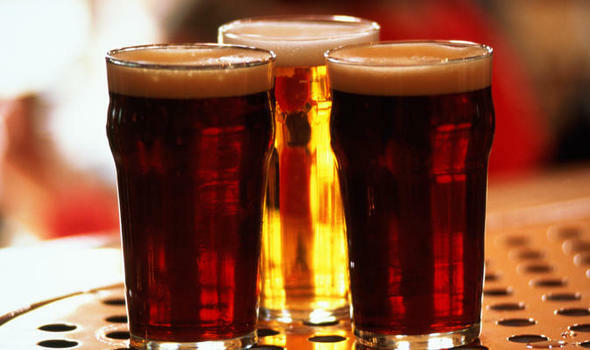 In the United States, a pint of beer is equivalent to just 16 ounces. Pints are based on 1/8 of a gallon, but the definition of gallon varies. The liquid pint (think beer) is based on the British Wine Gallon which was established in 1707 and is equal to 231 cubic inches. A dry pint is based on the British Corn Gallon which is 269 cubic inches. Since 1824, the UK (and other parts of the world), have used the imperial gallon to define a pint. Pints in the UK are still based on 1/8 gallon, but a gallon is defined as 10 lbs of water which is about 277 cubic inches. This means that a pint is equal to 20 ounces. That’s 25% more beer than a pint in the US! 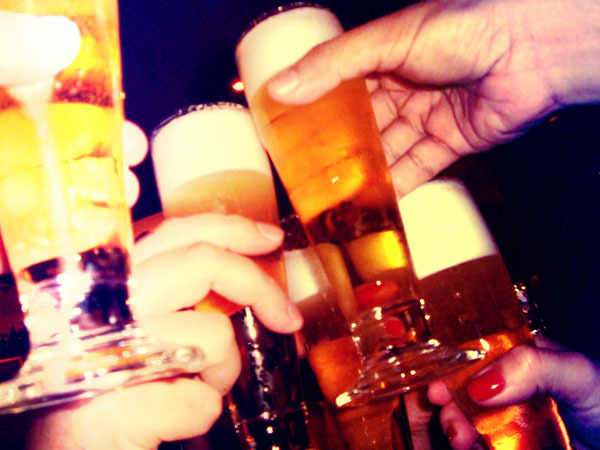 Beer has been around since before cheese, sugar, mustard, coffee, and Spam. * While there is some discrepancy of exactly when beer was first discovered, there is no doubt that it was a very long time ago. An article in Scientific American (Sept 2013) claims 7000 BC. The oldest recipe in the world is said to be for beer (on clay tablets) dating back to 3500 BC. Traditionally, brewers were women. Brewing was a domestic chore (a very important one to be sure). 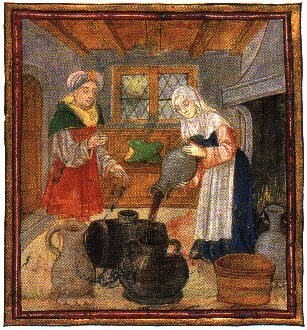 Since beer was originally made with the absence of hops as a preservative and it would turn sour rather quickly, beer making was a constant practice. Some historians believe that beer preceded bread as a diet staple while others believe that beer was a happy accident that occurred in bread making. Regardless, it wasn’t until brewing was commercialized around 1200 AD that beer became a largely male-dominated past time. * An accurate order of these foods having been introduced in the human diet. 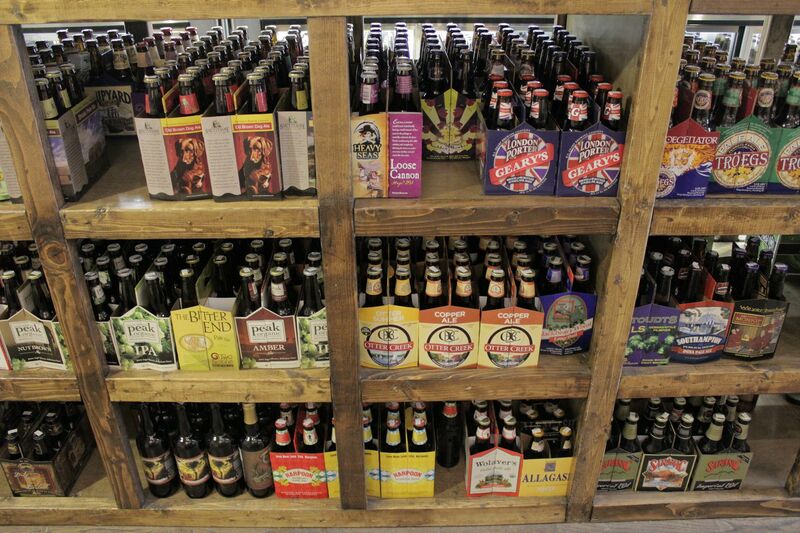 The modern-day “six pack of beer” was created after the repeal of prohibition when beer sales shifted from consumption establishments (breweries) to retail outlets (grocers). In the late 1940s/early 1950s is when to-go packaging emerged. Less than 7% of the breweries that existed around 1949 offered take-home or carry-home as it was called then. Beer was primarily distributed in cases of 6 or 12 in wood crates up until this time. Pabst Brewing is largely credited as the first brewer to package beer in six packs. Supposedly, the magic number 6 was a result of studies conducted to determine the ideal weight for the average housewife to carry home from the store. However, it has also been said that beer was first sold in packs of 6 because of size, not weight. A six pack of beer was the perfect size to fit in a standard paper grocery bag. Whatever the original justification for selling beer in packs of 6, the phenomenon really took off in the mid-1950s and continues today. Please enter your email address to follow the American Beer Museum and receive notifications of new posts via email.